Dimples on the cheeks look cute and adorable. But dimples in thighs or buttocks? Well, it actually is ‘cellulite-attack’ and needless to say, we totally hate it! Though there are cellulite-busting creams in the market, let us tell you that they DO NOT work at all. So, what can you do to get rid of that unsightly skin dimpling? Embrace pumpkin and whip up a few DIY body scrub recipes that are super effective and can banish cellulite fast. This is a basic pumpkin body scrub recipe, which needs only three simple ingredients. Both pumpkin and coffee grounds are great for busting cellulite and the goodness of coconut oil makes their results even greater. Take pumpkin puree in a medium-sized mixing bowl. Add coffee grounds and organic coconut oil to it. Blend with a spoon or simply whisk with a hand whisker. When all the ingredients are blended together nicely, your scrub is ready to apply! If you want your pumpkin body scrub to smell deliciously spicy, try this recipe infused with cinnamon and clove powder. Brown sugar increases its exfoliating power while honey makes it even more moisturizing. Take a large mixing bowl and put the puree of pumpkin in it. Add coffee grounds and brown sugar. Also, pour organic coconut oil and honey into the bowl. Blend everything together by using a hand whisk. Make sure that the brown sugar is melted only partially. Sprinkle finely ground cinnamon and clove over the mixture and give the whole thing a final mix. It is just the perfect way to give your cellulite-busting recipe a serious antioxidant boost. White sugar can replace its brown counterpart efficiently while a touch of spice makes the scrub more interesting. Prepare a green tea concoction by brewing the tea leaves in water or submerging the teabag in it. You either use the freshly brewed tea or turn it completely chilled before including in the recipe. Transfer the green tea concoction to a mixing bowl, put pumpkin puree in it, and add granulated white sugar. Mix them well until the sugar granules melt to some extent. Add clove powder to this mixture and blend everything once again. If you have an oily skin that does not need additional moisture, you will totally love this simple scrub recipe. It not only uses sea salt for optimal exfoliation but also incorporates essential oil for aromatherapy benefits and vanilla extract for a beautiful smell. Take pumpkin puree, coffee grounds, sea salt, and granulated white sugar in a large mixing bowl and mix them together nicely until the sugar granules turn a little smaller. Add vanilla extract and your favorite essential oil to it and give the entire thing a final mix. This is the ultimate pumpkin body scrub recipe, which exfoliates the skin properly, hydrates it deeply, offers aromatherapy benefits, and smells heavenly while beating cellulite to a great extent. Take pumpkin puree, brown sugar and granulated sugar in a mixing bowl. Add organic coconut oil and blend well so that a thick mixture is prepared. Add cinnamon powder and vanilla sugar essential oil to it and blend for one more time. 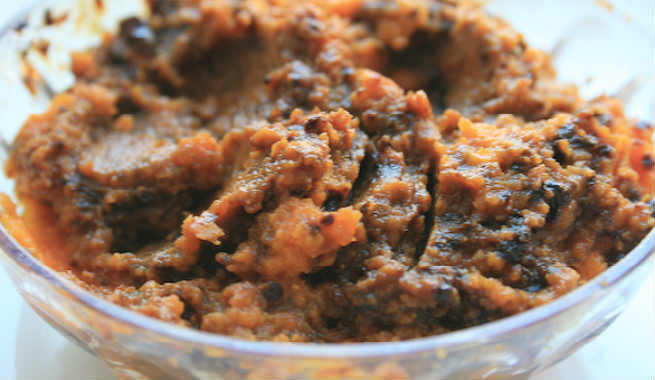 Pumpkin is loaded with vitamin A as well as enzyme Matrix Metalloproteinase (MMP), which help in exfoliation and promote the turnover of new cells. Coffee grounds are rich caffeine, which helps in reducing cellulite and enhances skin elasticity. The grounds also promote skin exfoliation and boost blood circulation. Coconut oil hydrates and moisturizes the skin deeply. Brown sugar, white sugar and sea salt are excellent natural exfoliating agents. Green tea is a potent antioxidant that aids in diminishing the appearance of cellulite. 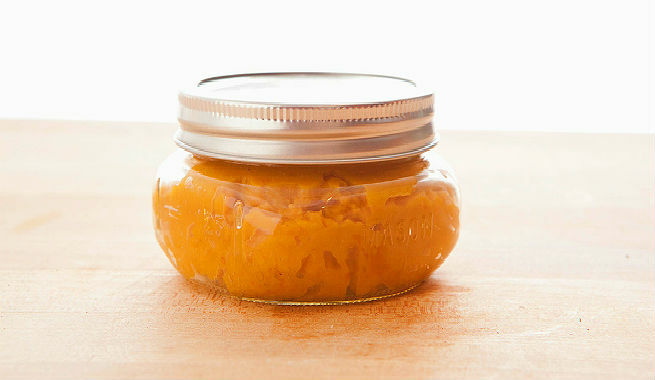 If fresh pumpkin is not available, go for canned pumpkin without any worry. Also, try to use fresh coffee grounds that contain more caffeine than old ones.